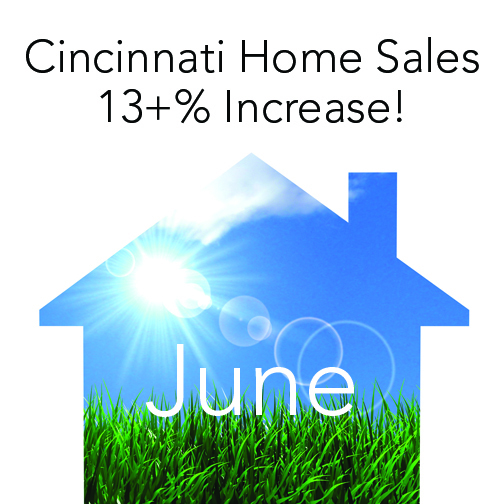 June Home Sales in Cincinnati Are Up Over 13 Percent! Home sales rose in Cincinnati in June with a 13.23% increase. The average sale price of homes set a new record for June with $199,954. This average price has increased (year-over-year) for 40 consecutive months. Mortgage rates have ticked up slightly but are still lower than rates in June 2014. With a low inventory of homes for sale and home values rising, it is a great time to sell your current home and purchase another. Look at homes here. This entry was posted in Buying A Home, News, Real Estate, Selling A Home, Statistics and tagged Cincinnati June Homes Sales Report, Home sales in Cincinnati, Statistics for home sales in Cincinnati by susanaknabe. Bookmark the permalink.